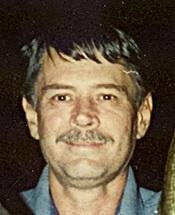 CEDAR FALLS - Dallas L. Bolender, 68, of Cedar Rapids, formerly of Cedar Falls, died Thursday, March 25, in his home. Born Dec. 1, 1941, in Ackley, Iowa, Dallas was the son of Bernard and Lucille (Geiken) Bolender. On Sept. 30, 1967, he married Clairene Skeesick. She died May 13, 2004. Dallas grew up in Cedar Falls and graduated from Teacher's College High School. Dallas served his country in the U.S. Navy. He retired from Intermec. Survivors include his daughter, Luanne Lukemyres; and one sister, Dianne (Joe) Lawless. Dallas was preceded in death by his parents; and his wife. Dallas will be greatly missed by all who knew and loved him. Services: 11 a.m., Monday, March 29, 2010, at Murdoch-Linwood Funeral Home & Cremation Service, Cedar Rapids, by the Rev. Rick Gail. Visitation: 2 to 6 p.m., Sunday, March 28, 2010, at the funeral home. Burial: Linwood Cemetery, Cedar Rapids. Military honors will be provided.